Be Kind To Human Kind: Sunday – Sacrifice Our Own Wants for Other’s Needs. Do something for someone else today!! 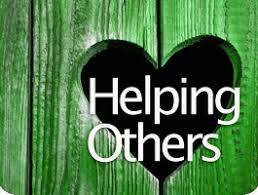 Run an errand for an elderly neighbor, pick up a meal for the person down the street with a young infant, have a family member over who doesn’t get out much, spend an afternoon with children doing something they want to do, help someone randomly that you find today! !